 Touch down for the smoothest of arrivals at the Albany Airport Inn and Suites, where you will enjoy all the comforts of home and warm, personalized service from a hotel staff that has perfected the art of hospitality. Located on 12 scenic acres near Albany, Schenectady, Troy and Saratoga Springs, our studio, loft, one-bedroom and two-bedroom suites are the perfect choice for family vacations, extended business stays and temporary relocations. Make yourself at home in spacious, modern and accessible hotel suites appointed with stovetops and ovens, full-size refrigerators, dishwashers, plates and silverware. Delight in amenities ranging from a fitness room, outdoor swimming pool and multifunctional sport court to complimentary luxuries like Wi-Fi, airport shuttle service, daily breakfast and evening receptions Monday through Wednesday. A hidden gem among Albany hotels, the Albany Airport Inn and Suites delivers genuine hospitality, designed to ensure that you enjoy a relaxing stay whether you’re with us for a night, a week or more. All suites at the Albany Airport Inn and Suites are designed to make business travel, family vacations and extended stays more relaxing, comfortable and accessible. Each suite is equipped with free Wi-Fi, a sleeper sofa, ergonomic desk chair, a fireplace and an HDTV with cable channels. Our Studio Suite features a Queen bed, full kitchen, bathroom and living area that has a Queen sofa sleeper and fireplace. Available on the first or second floor. Our One-Bedroom Suite has separate living and sleeping areas. The bedroom has two Queen beds with French doors separating the living area for additional privacy. In the living area you will find a fireplace, sofa sleeper, a fully-equipped kitchen and two televisions. Spacious bi-level Loft Suites with private bedroom featuring one queen bed on the second floor and full living room on the first floor with murphy bed. If you're traveling with friends or family, this extra-large suite is perfect for you. Make yourself at home with the brand-new living area with a sofa sleeper, fully-equipped kitchen, two large bedrooms (one loft style upstairs and one downstairs) two baths and three televisions. These suites are only available on the second floor. The hotel is located near many of the top restaurants in Albany, but we also make it easy for guests to start the morning or relax after a long day with a complimentary hot breakfast seven days a week and complimentary evening receptions Monday, Tuesday and Wednesday evenings. Staff here are extremely nice. Everyone goes out of their way to be helpful. The complimentary breakfast buffet is quite good for this level of accommodation. Room is a legitimate suite with a separate bedroom with a closed door and a full kitchen and nice desk/table area and large flatscreen TV in the living room and cable TV with free HBO. Towels and sheets are sparkling clean and housekeeping is on top of their game. What's not to love? The Residence Inn was close to the airport and easy to find. It was a welcome sight with a midnight arrival from the airport. Our room was very comfortable, quiet, and sparkling clean! Breakfast in the morning was great! Whether you’re traveling for work, play, an extended stay or a one-night layover, let us show you how we’ve perfected the all-suite travel experience by blending the comfort and convenience of home with the amenities and services of a full-service hotel.